When FuelFix promised an eagle-eyed view of this year’s Offshore Technology Conference, we weren’t kidding. Sure, some folks go for guerrilla marketing by sticking fliers all over car windshields in the parking lot, but we didn’t think that was a very classy approach. 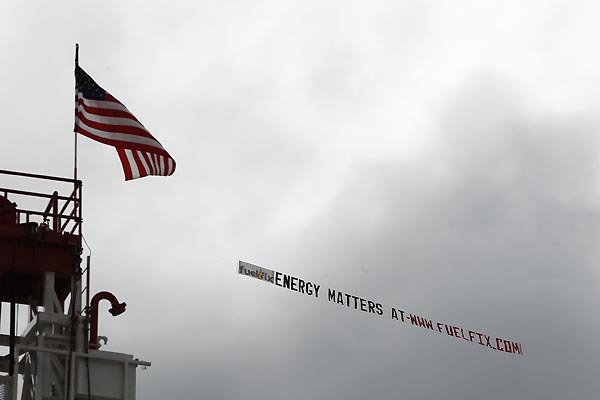 Instead, FuelFix went retro with aerial advertising. As any hipster will tell you, old timey technology is where it’s at, Jack! Did you see the plane flying above Reliant Park? Let Fuelfix know what you thought about it!